November 1-2, 2013. Alamo Drafthouse Village, Austin, TX. A young man's charm and charisma challenge the prejudices of a stranger at a bus stop; while impacting on her world, he also changes the heart of someone else close by. Harry is about to have his 18th birthday. But he is ashamed and embarrassed by his older brother Josh. Josh has Down's Syndrome. Will Harry keep Josh locked away in his bedroom during his house party celebrations? A simple tale of the relationship between two brothers. In this visually compelling short, Toronto Artist Petra Tolley, who has Down syndrome, draws from her emotional experiences to produce a distinctive take on the social self. Petra is not alone: a group of adults with Down syndrome use performance to explore the dynamics of seclusion, societal expectations and social support. Director Shira Avni employs rotoscopy, hand-drawn animation techniques and subtle stereoscopic 3D, capturing Petra as she engages the camera with unflinching directness, heightening our sense of intimacy, alienation, bonding, and ultimately, dignity. A group of people with developmental disabilities answer the same question: If you could change one thing about yourself, what would you change? Filmed with a production crew including eight people with developmental disabilities, this documentary short offers poignant and often surprising insights into the dreams and aspiration of this community. Ultimately, the message of this film reaches beyond the disability community, encouraging all of us to reflect on what is important in our lives. Thasya Lumingkewas, 8, thrives at Maple Wood Elementary School in Somersworth, NH. The school has implemented Response to Intervention, Positive Behavioral Interventions and Supports, and Universal Design for Learning. 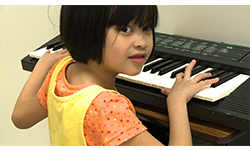 This mini-film highlights the power of presuming competence, differentiated instruction, and augmentative and alternative communication.